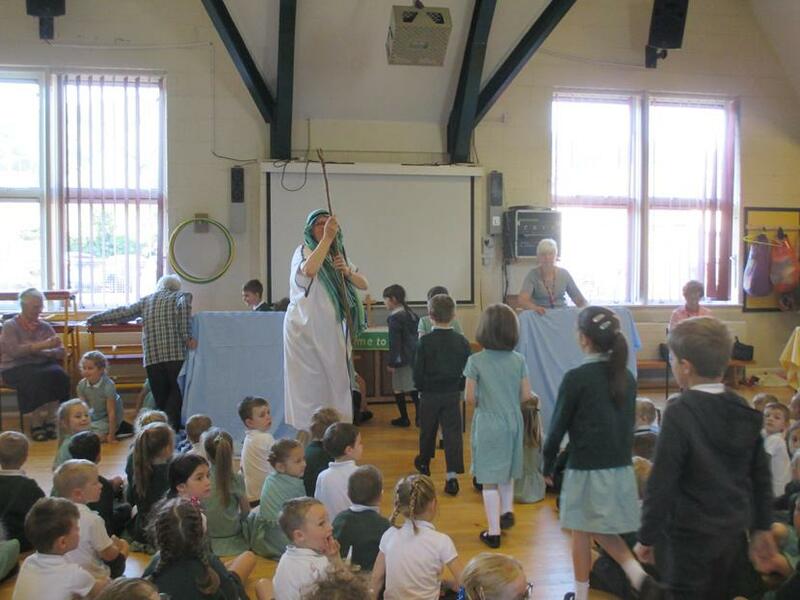 The Open the Book team visit us each term to share stories from the bible with us. 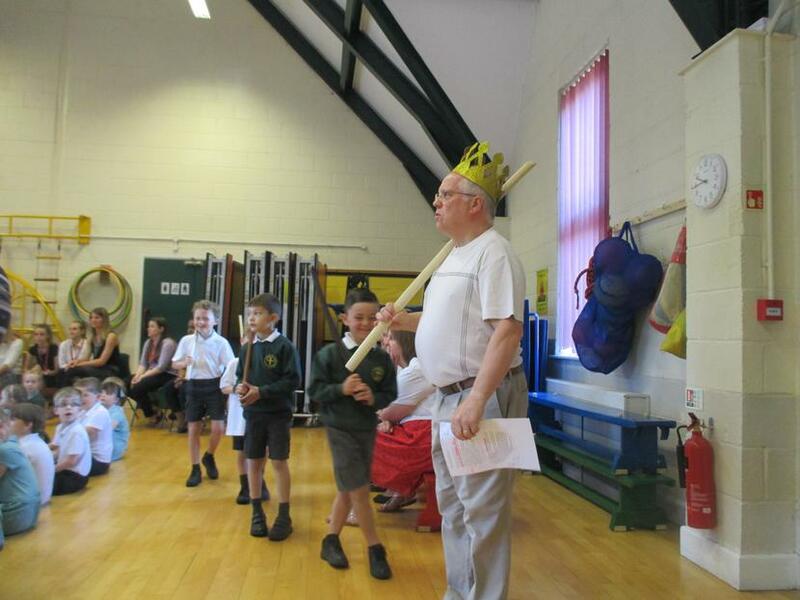 The children enjoy this very much because they get to see the story being acted out which helps it to make sense to them. 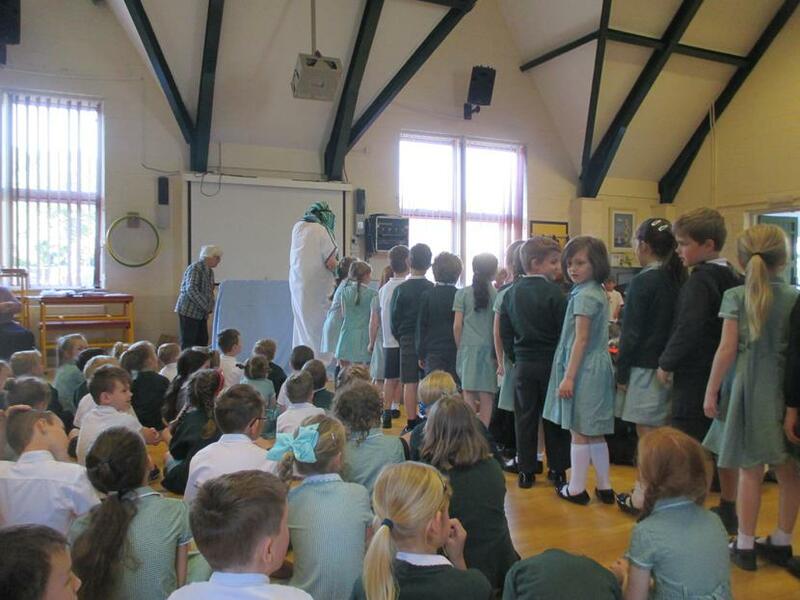 The children also look forward to seeing which class get to help with each performance! 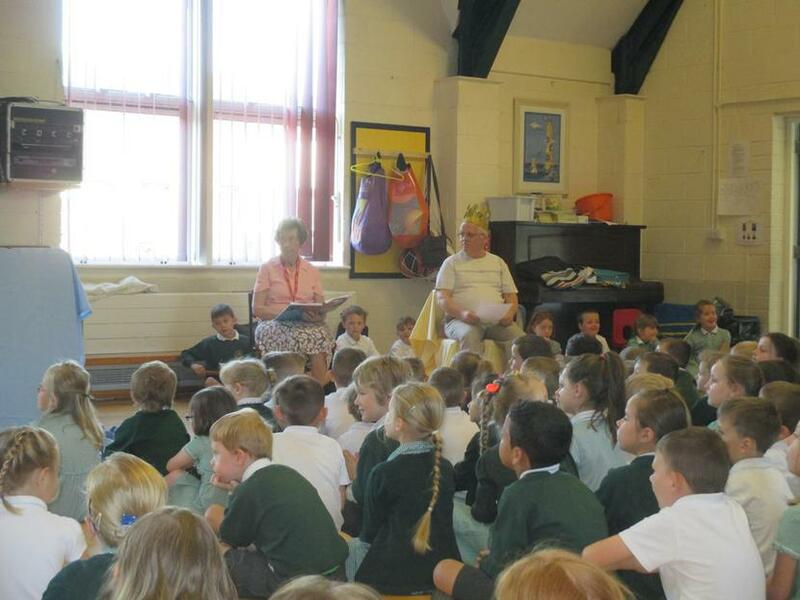 All children are able to join in with this special worship by singing the Open the Book song. 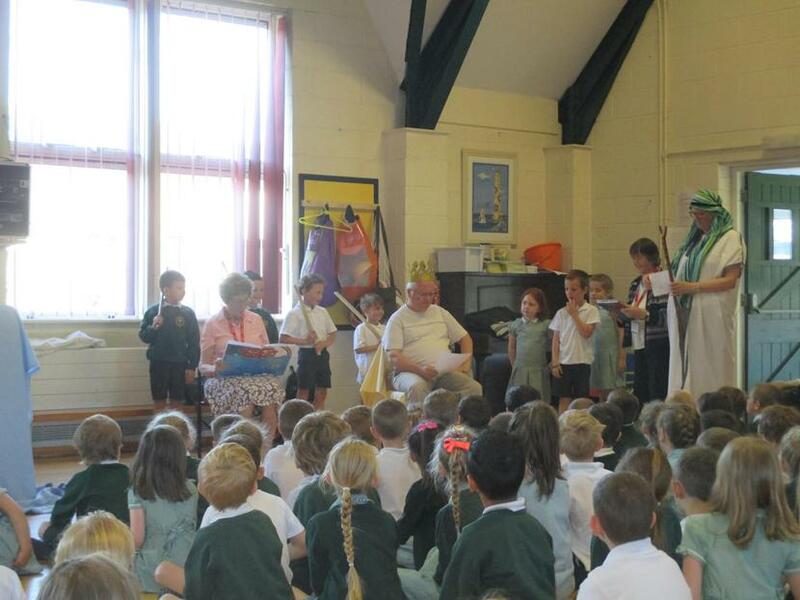 This week the team told the children the story of Moses and his great escape from Egypt. Children from Year 1 played the parts of God's people and also some children portrayed the Egyptian army - they were terrifying!